When Daedalus was ordered by King Minos to build the great labyrinth to keep inside the Minotaur (the half bull half man creature) he was not aware that the plan of Minos was to shut him up in a tower to prevent the path of the labyrinth to be spread to the public. Daedalus, which was a great craftsman, created artificial wings for himself and his son Icarus, also prisoner in the tower. The wings were made by feathers and strings while they were glued together using wax. Daedalus warned Icarus not to fly too high because the heat from the sun will melt the wax and destroy the wings. Icarus, which was a young boy, amazed by the ability to fly, soon forgot the warnings of his father and flew higher and higher until the feathers came of. Daedalus who saw his son to be drawned in the aegean sea named the nearest island, Icaria in memory of his child. 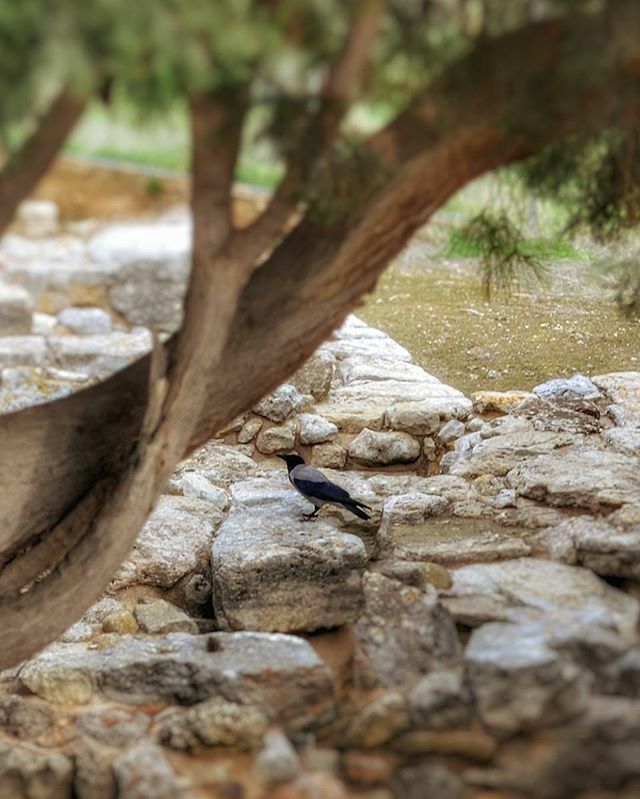 Tagged amazinggreece, amazing_greece, athensvoice, cretanlandscape, cretantrails, Crete, creteisland, explore, explorecrete, Greece, greecetravelgr1, igersgreece, igers_greece, ig_greece, kings_greece, knossos, lifo, lifo_greece, minoan, mysticcrete, mysticgreece, palace, super_greece, wu_greece. Υπέροχη ανάρτηση και τέλειο το επεξηγηματικό κείμενο! !